Ermahgerd! Justin Bieber nail polish! Squeeeeee!!!! 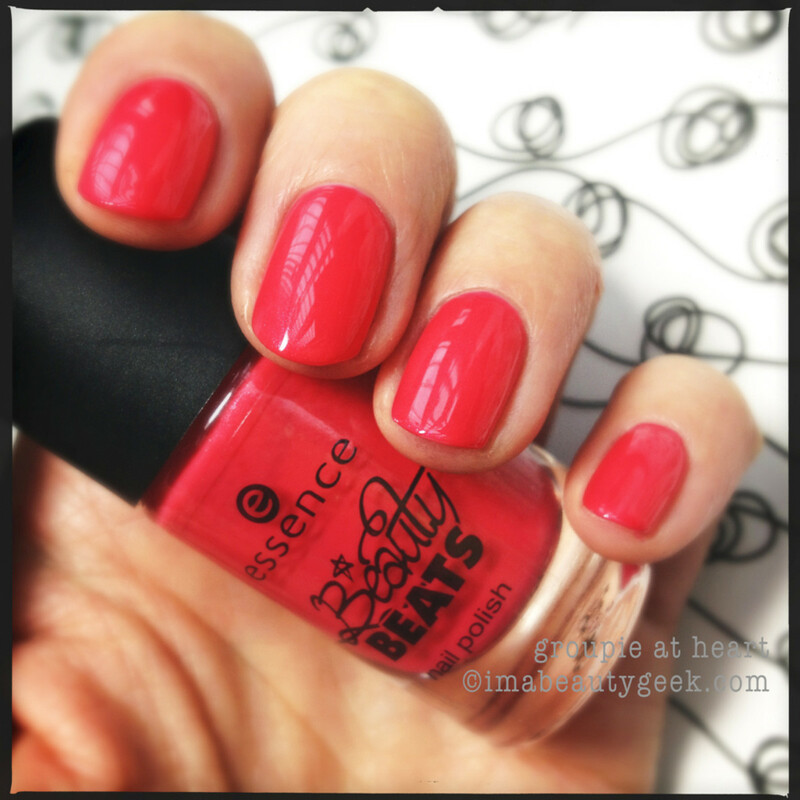 Okay, yes, it’s Justin Bieber nail polish, but -- it’s made by Essence. 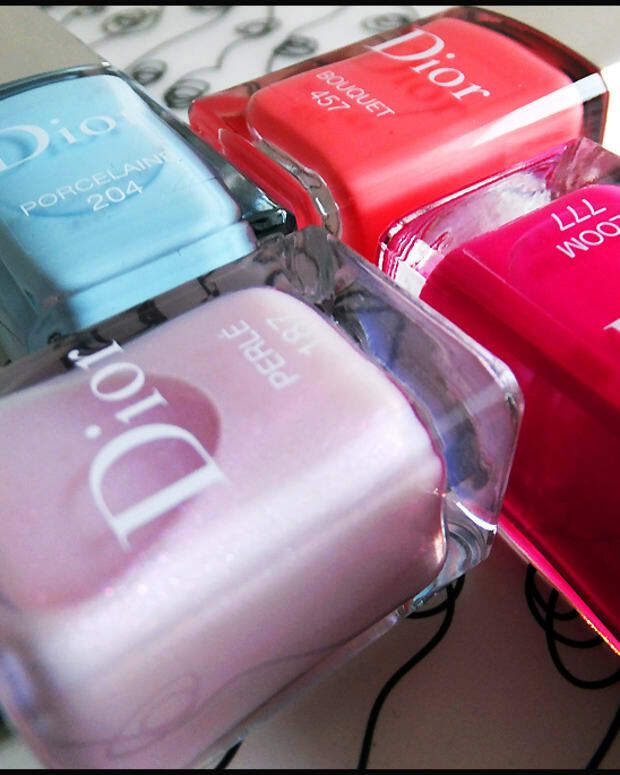 While I have no big love for The Biebs, I do have big love for Essence nail polishes. Why? Because they’re just good. Essence&apos;s brushes are good, their shades are good, the consistency of the polishes is good, and they’re remarkably inexpensive for polish of this caliber. 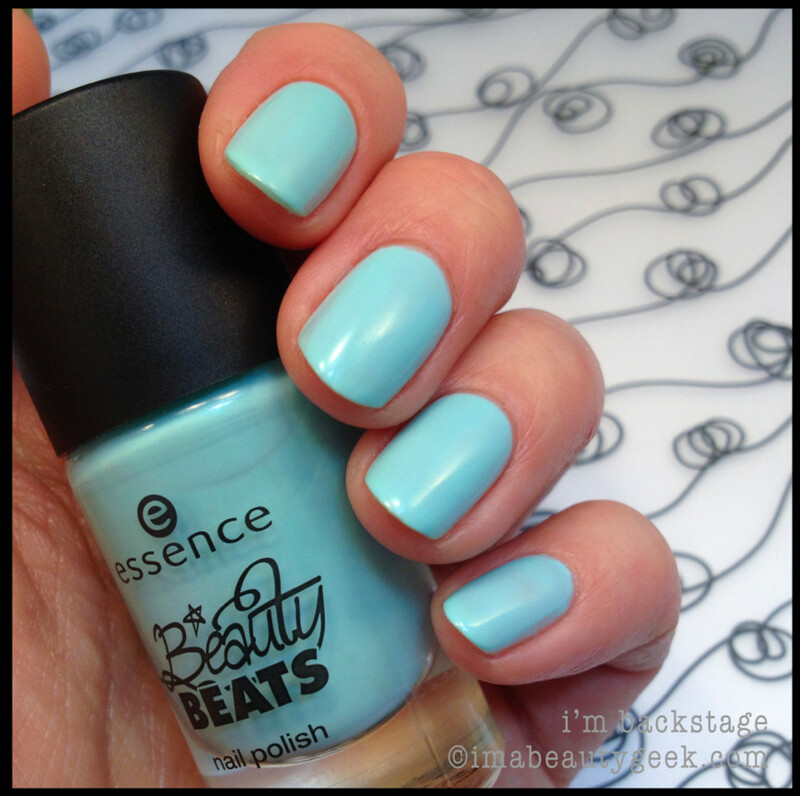 Essence Beauty Beats I’m Backstage ($2.49) I rather adore this shade of blue. In fact, I want to call it a sky blue (I think Liza will agree). 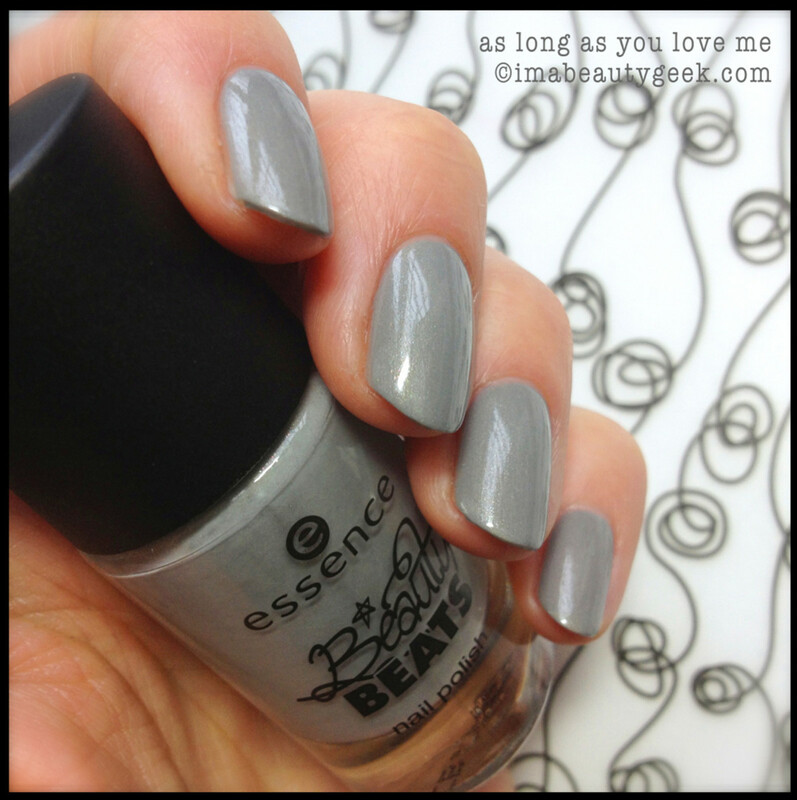 Essence Beauty Beats As Long As You Love Me ($2.49) Grey nails. You know I love grey polishes, right? 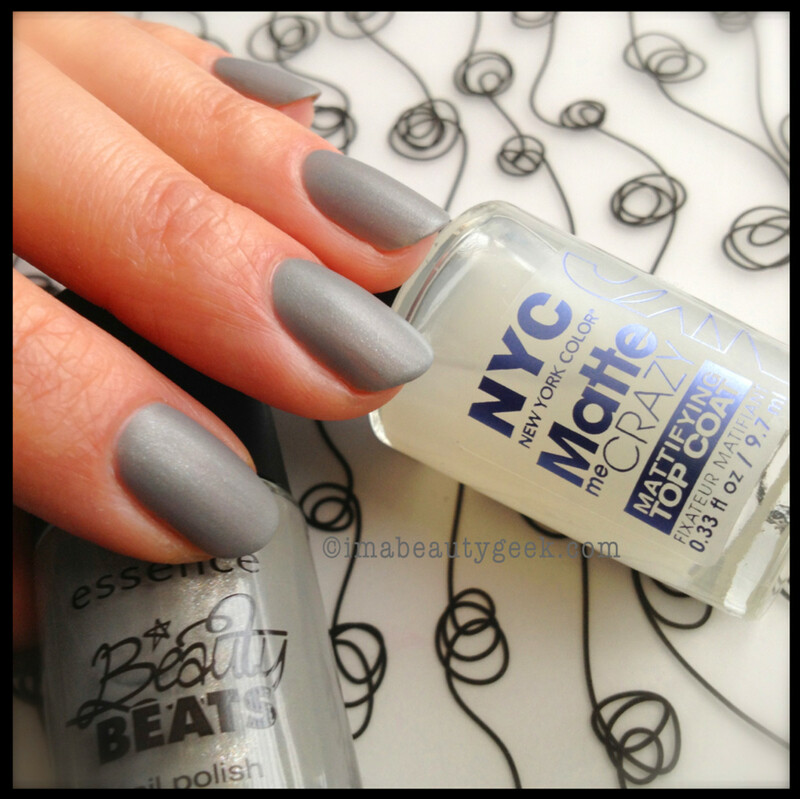 NYC Matte Me Crazy Mattifiying Top Coat ($1.99) Matte Grey Nails. You know I love matte grey polishes too, right? Essence Beauty Beats Groupie at Heart ($2.49) Gold shimmery jelly-ish finish pink. Good. Yes. 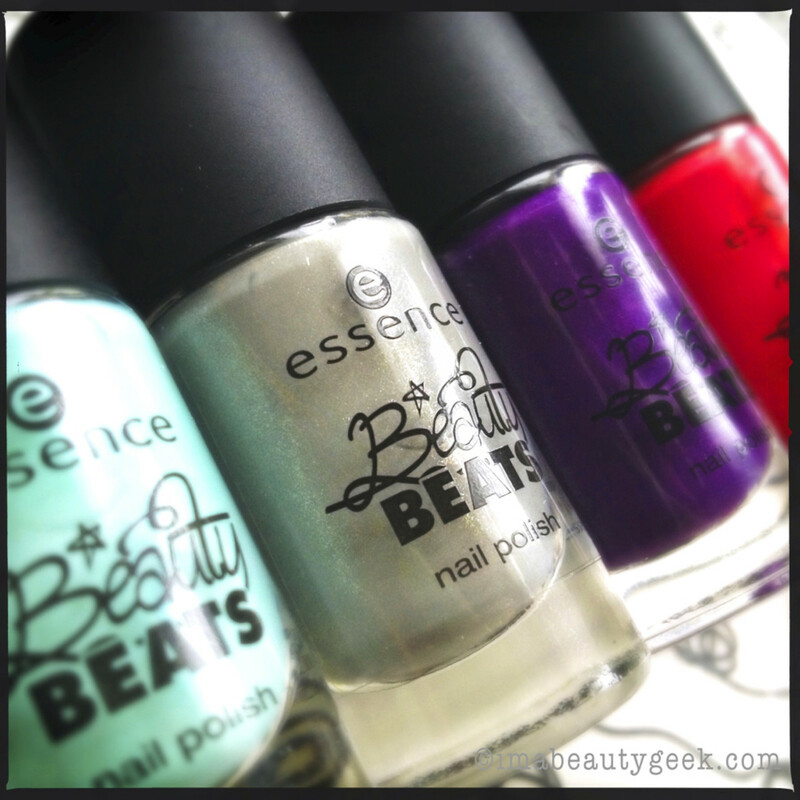 Essence Beauty Beats Baby, Baby, Ooh! ($2.49) I can’t resist a dark purple – I just can’t. 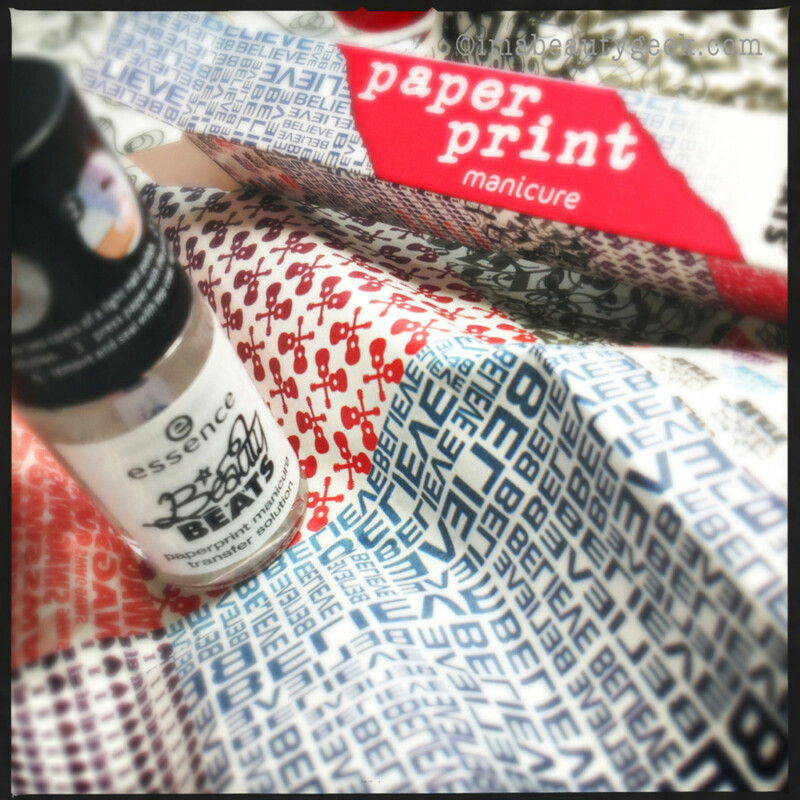 Essence Beauty Beats PaperPrint Manicure and Transfer Solution ($1.99/paper; $1.99/solution) It’s a newsprint transfer kit for your nails. 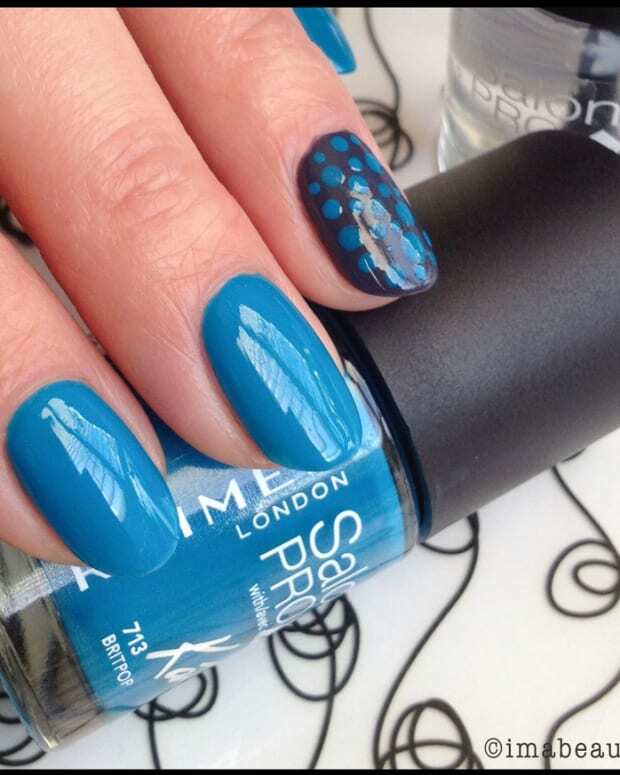 Apply transfer solution over dry, light coloured nail polish, position paper printed side down over nail plate, press onto nail for 15 seconds. Gently lift paper away; seal results with topcoat. A bit tricky, but hey, if you need to show your Bieber-Love, is there really any better way? Essence Beauty Beats is launching at a Shoppers Drug Mart any time now. NYC Matte Me Crazy is available at select drug stores all over the place. Photos ’n Manicures by Karen Falcon (she has a new QuizUp addiction) ©2013 BEAUTYGEEKS/imabeautygeek.com.